The article discusses the notion of psychedelic experience within the context of the sixties cultural heritage. 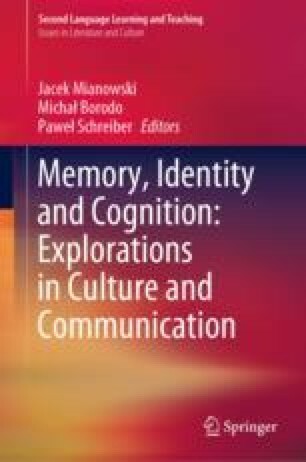 A particular psychedelic coding is identified within the artistic production of the decade as one of the key elements in attempts at recording and (re)producing forms of perception-enhancing experiences. The main point of focus for the analysis are the contemporary renditions of the sixties in musical forms. The article provides a brief historical context of the sixties’ American counterculture and the psychedelic music of the time when psychoactive substances were not only referenced in the song titles or song lyrics but did actively influence and shape the forms of musical expression. It is argued that similar traits can further be identified in one of the key compositions for the heavy stoner rock genre, Sleep’s Dopesmoker (2003), and that the track, as a daring formal and artistic experiment in expressionism, manages to demonstrate what might be conceptualized as the sixties’ remainders, especially that it successfully goes beyond the merely nostalgic sentimentalism about the past. Brabazon, T. (2018). Blunting the cutting edge? Analogue memorabilia and digitalised memory. KOME—An International Journal of Pure Communication Inquiry, 6(1), 63–74. https://doi.org/10.17646/kome.2018.14. Rivadavia, E. Sleep—Dopesmoker—Allmusic review. Retrieved from https://www.allmusic.com/album/dopesmoker–mw0000027601.